On this page you'll find a selection of items belonging to the group of lamb, veal, and game products. Through the links on this list of foods that are lamb, veal, and game products and you will know their properties and amount of nutrients that each food has. Below is a list of foods belonging to the category of lamb, veal, and game products. Clicking on each one of them, you can view the properties of oils and nutritional information in addition to the benefits to your body. Raw veal ground: This food is low in carbohydrate, total dietary fiber and total sugars but Raw veal ground has protein, zinc and niacin in high quantity. 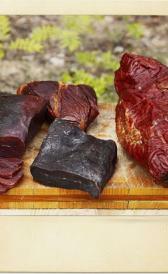 Raw antelope game meat: High in protein and riboflavin and low in total lipid, carbohydrate and total dietary fiber. Raw bear game meat: This food is low in carbohydrate, total dietary fiber and total sugars but Raw bear game meat has protein, iron and riboflavin in high quantity. Raw beaver game meat: This food is low in carbohydrate, total dietary fiber and total sugars but Raw beaver game meat has protein, iron and selenium in high quantity. Raw wild boar game meat: This food is low in carbohydrate, total dietary fiber and total sugars but Raw wild boar game meat has protein and thiamin in high quantity. Raw caribou game meat: This food is low in carbohydrate, total dietary fiber and total sugars but Raw caribou game meat has protein, zinc and riboflavin in high quantity. Raw deer game meat: High in protein, niacin and vitamin b12 and low in carbohydrate, total dietary fiber and total sugars. Raw elk game meat: This food is low in total lipid, carbohydrate and total dietary fiber but Raw elk game meat has protein in high quantity. Raw goat: High in protein, zinc and riboflavin and low in total lipid, carbohydrate and total dietary fiber. Raw horse game meat: This food is low in carbohydrate, total dietary fiber and total sugars but Raw horse game meat has protein and zinc in high quantity. 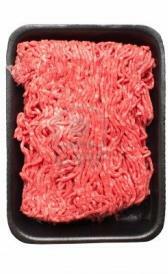 Raw moose game meat: High in protein and zinc and low in total lipid, carbohydrate and total dietary fiber. Raw muskrat game meat: This food is low in carbohydrate, total dietary fiber and total sugars but Raw muskrat game meat has protein, riboflavin and niacin in high quantity. Raw wild rabbit game meat: High in protein and niacin and low in carbohydrate, total dietary fiber and total sugars. Raw squirrel game meat: This food has a low quantiti of carbohydrate, total dietary fiber and total sugars but has a high quantity of protein. Raw lamb brain: Raw lamb brain is high vitamin b12. On the other hand. is low in carbohydrate, total dietary fiber and total sugars. Braised lamb brain: This food is low in carbohydrate, total dietary fiber and total sugars but Braised lamb brain has phosphorus and vitamin b12 in high quantity. Raw veal brain: High in pantothenic acid and vitamin b12 and low in carbohydrate, total dietary fiber and total sugars. Braised veal brain: Braised veal brain is high phosphorus and vitamin b12. On the other hand. is low in carbohydrate, total dietary fiber and total sugars. Raw lamb heart: This food has a low quantiti of carbohydrate, total dietary fiber and total sugars but has a high quantity of selenium, riboflavin and niacin. Braised lamb heart: High in protein, zinc and copper and low in carbohydrate, total dietary fiber and total sugars. 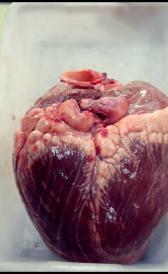 Raw veal heart: Raw veal heart is high selenium, thiamin and riboflavin. On the other hand. is low in carbohydrate, total dietary fiber and total sugars. Braised veal heart: This food is low in carbohydrate, total dietary fiber and total sugars but Braised veal heart has protein, selenium and riboflavin in high quantity. Raw lamb kidneys: This food has a low quantiti of carbohydrate, total dietary fiber and total sugars but has a high quantity of iron, selenium and thiamin. Raw veal kidneys: Raw veal kidneys is high selenium, riboflavin and niacin. On the other hand. is low in carbohydrate, total dietary fiber and total sugars. Raw lamb liver: This food has a low quantiti of carbohydrate, total dietary fiber and total sugars but has a high quantity of protein, iron and phosphorus. Braised lamb liver: High in protein, iron and phosphorus and low in carbohydrate, total dietary fiber and total sugars. Raw veal liver: This food is low in carbohydrate, total dietary fiber and total sugars but Raw veal liver has protein, iron and phosphorus in high quantity. Braised veal liver: This food has a low quantiti of carbohydrate, total dietary fiber and total sugars but has a high quantity of protein, phosphorus and zinc. Raw lamb lungs: Raw lamb lungs is high iron. On the other hand. is low in carbohydrate, total dietary fiber and total sugars. Braised lamb lungs: This food is low in carbohydrate, total dietary fiber and total sugars but Braised lamb lungs has protein in high quantity.